University Virtual Learning Environment (UVLê) is a learning management system. It allows UP teachers to design online spaces for better learning experience. Design Organization. Manage course tools, and student progress through a customizable course page. Empower Connectivity. UVLê offers a mobile solution, and several communication tools. Transcend Experience. Learning with UVLê can be more interactive with its multimedia options, collaborative features, gamification tools and many more. Build, design, and launch your own website or online portfolio with Pages.UPD. 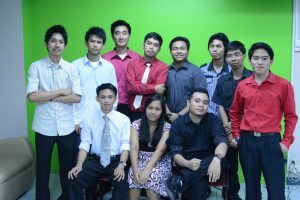 Pages.UPD or Pages is a web content management system designed for UPD faculty members and academics units. No computer programming skills needed! Drag-and-drop tools for easy customization. Conference.UPD is a conferences management system. It is an online portal designed to help UPD units organizing scholarly conferences. Iskomunidad or Isko is an online academic community for UPD. It is a WIKI platform that allows exchange of ideas and promotes collaborative content-creation and peer review. Peer-Assisted Learning Spaces or PALS is a future ILC Diliman project. In partnership with other academic units, ILC aims to create physical (and on-line) learning spaces that promote collaborative learning and provide access to learning technologies. PALS may be used for group discussions, class activities, or production of interactive learning materials. ILC Helpdesk is an online support ticketing system for addressing inquiries and concerns about ILC and its services. Stay connected and be Informed. UPCurrents is a mobile application. It is a personal updater about UP. It automatically gathers and compiles different information about UP in the world wide web. Access UP-related news, event calendars, or RSS Feeds. 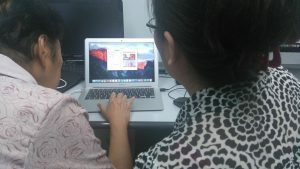 ILC Diliman provides different technology for multimedia use. The ILC Diliman internship program is open to all universities, schools and colleges recognized by the Commission on Higher Education (CHED). A Memorandum of Agreement (MOA) between the university, school or college and the University of the Philippines, Diliman campus must be in existence before ILC Diliman can accept students. In the ILC Diliman we have One on One consultation service where we help you personally in a one on one tutorial with the assistance of our staff.